The single rotationally moulded fire extinguisher cabinet is manufactured in high-impact resistant plastic and is designed to provide long lasting protection. Designed to hold a 9kg or 9 litre fire extinguisher. *Fire extinguisher pictured sold separately. 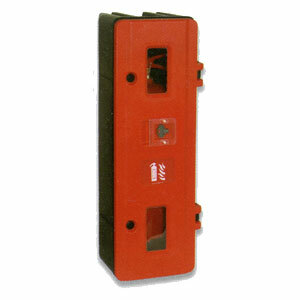 Available as a standard cabinet or with triangular keylocks and keybox.